Lee Denis McKee (guitar) and Ralph McKee (bass) have surrounded themselves with a revolving group of talented musicians including keyboardist/composer Bobby West, vocalist Bob Schultz, drummer Jerome Edmondson, and a dozen more including an array of horn players. to create their release Enjoy It While You Can. They are at their foundation a rock band but when the brass is highlighted and involved, they morph into a fusion of funky soul and blues. All the tracks range from four to seven minutes, which give them time to build, tell a musical story, and highlight some of the musicians. 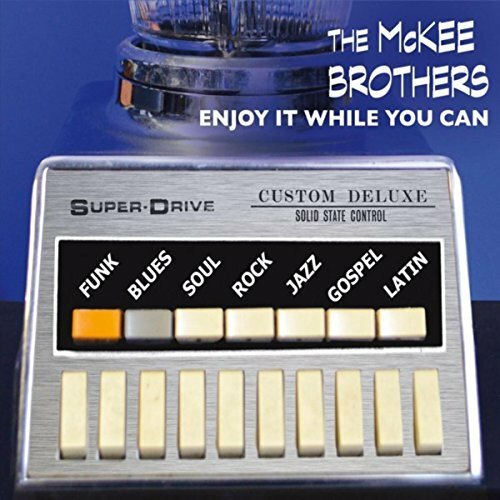 Whether creating energetic original songs such as “A Little Bit Of Soul,” “Enjoy It While You Can,” and “One Of Us Gots Ta Go” or soul-dripping covers of Earl King’s “It All Went Down The Drain” and Dr. John’s “Qualified,” The McKee Brothers have managed to combine their versatile group of musicians into producing a cohesive and pleasing album of music. Nikolett Pankovits was born in Hungary, acted in 22 movies, was jailed during the war in her country, escaped to Brazil, settled in New York, and immersed herself in Latin music and rhythms. She has now released a new album titled Magia. Her music can best be described as a fusion of roots and jazz that does not confine itself to one country. She draws on the music and stories of her home country and South America, and combines them with an American jazz feel. She is backed by guitarist Juancho Herrera, violinist Zach Brock, trumpeter Josh Deutsch, pianist Jason Lindner, bassist John Benitez, and drummer Ferenc Nemeth. The uniting theme of the album are the stories that are told through her vocal interpretations. There are torch songs from Hungary that provide a history lesson, a childhood song “La Dama De L Muerte,” which is transformed into a Mexican Day Of The Dead Celebration complete with new Spanish lyrics, more traditional jazz excursions with “Gloomy Sunday” and “Besame Mucho,” and a soaring album ending Alan and Marilyn Bergman composition “Where Do You Start” backed only by a piano and saxophone. 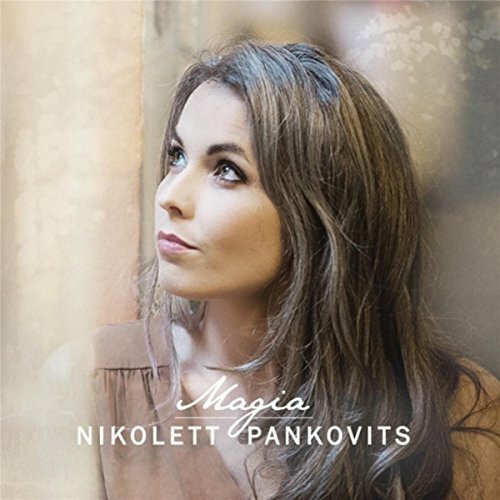 Nikolett has released and interesting album that takes the listener in a number of directions It is music worth exploring. Little Mike is one of the energizer bunnies of the music industry. Whether in the studio, on the road, fronting his own band, or helping out on numerous projects as a guest artist; he has established himself as one of the great blues harpists working today. He has now released a new album titled How Long. It consists of eight originals and four cover songs fueled by his harp, plus his keyboards and vocals. He is one of the rare harmonica players who can use the instrument in place of the vocals. His phrasing is unique as it communicates a story. 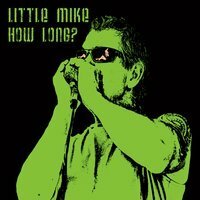 Little Mike is a modern days blues artist who learned his craft from the like of James Cotton, Hubert Sumlin, and Pinetop Perkins. Their influences can be seen and felt on such original tunes as “Cotton Mouth,” “When My Baby Left,” “Sam’s Blues,” and “Not What Mama Planned,” where the past is integrated into the present day blues. Little Mike is approaching the forty year mark in his career. How Long is another fne effort that will be appreciated by any blues or harp aficionado. Gypsy guitarists are usually not household names. Gonzalo Bergara is one of the most accomplished gypsy guitarists practicing today. Now he has travelled in a different direction with his newest release Zalo’s Blues. His new album is his first foray into not only an electric sound but an exploration of the blues. Backed by bassist Mariano D’Andre and drummer Maximilliano Bergara; he explores a number of blues forms including swing, shuffles, and rock/blues fusion. Through it all Bergara demonstrates why is one of the best guitarists you may not have heard. 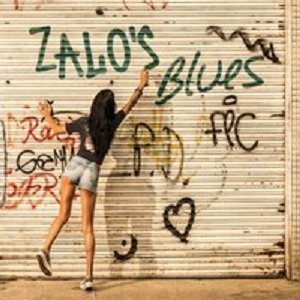 Zalo’s Blues is an interesting album by an artist exploring a different art form. If you’re interested in something a little different, then this may be an album for you. Heart is a Rock And Roll Hall Of Fame Band and Ann Wilson has one of the best voices in rock and roll. As the old saying goes; “she could sing the phone book and make it listenable.” Any Heart release, and especially a live album, that features her voice has a lot going for it. 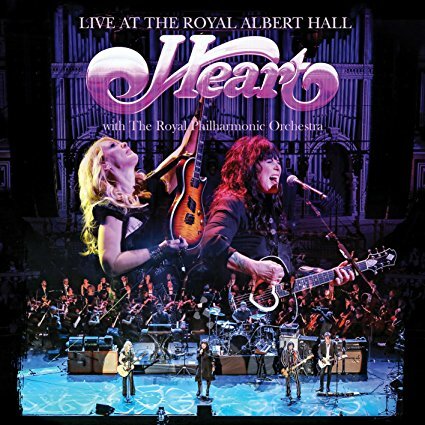 Heart’s decision to perform at the legendary Royal Albert Hall with the Royal Philharmonic orchestra was a sound one. It was a new way to present their music, which for a band four decades into their career is interesting. I wish the orchestra could have been a little more involved in the overall creation of the sound, but all in all they do add so extra layers and textures to the material. They mostly take the safe route in the selection of material, combining many of their well-known classics with some newer material. Songs such as “What About Love,” “These Dreams,” and “Alone” fit the approach of The Royal Philharmonic well. The all have an atmospheric quality to them and Wilson’s voice soars above the music. I have read that the sound of the Blu-ray release is not up to modern standards but to my ear the CD sound is excellent. 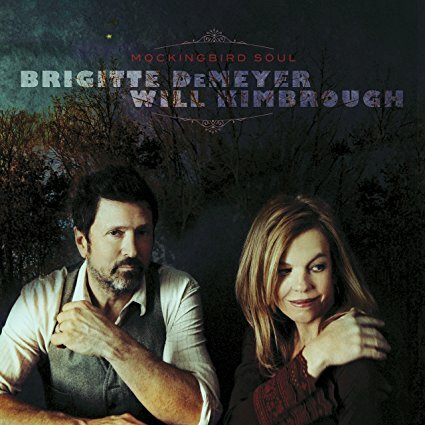 Brigitte DeMeyer and Will Kimbrough have toured together, written songs together, and sang together. That musical relationship has resulted in their first album as a duo, Mockingbird Soul. They have released an unpretentious, laid back album that travels in a number of directions, including blues, gospel, pop, and even some jazz. The vocal harmonies are spontaneous and meld together as if they had grown up singing together. The writing is cerebral in places but all in all it is a gentle and reflective album that fits sitting on the back porch late at night somewhere in the south. “The Juke” features Demeyer’s sultry voice backed by the in and out of Kimbrough’s harmonica. “Little Easy” is a wonderful ode to Mobile with only some simple guitar lines to guide the sound. Oliver Wood, of the Wood Brothers, adds his voice to the wistful “Carpet Bagger’s Lullaby.” There is also an intimate cover of the Incredible String Band’s “October Song” that benefits from their vocals. Sometimes the mood is light-hearted as with the bluesy “Honey Bee” and sometimes nostalgic as with “I Can hear Your Voice, which is about the presence of a lost parent. This is a release where the production adds to the overall enjoyment of the sound. The voices and guitars are distinct. While their are other instruments at times, they do not intrude on each other or the harmonies. Brigitte DeMeyer and Will Kimbrough have released an album of material that appeals to them. It may not change the course of popular music, but it is highly appealing and very listenable. I don’t know how many drummer/harmonica players there are out there, but if there is a list Randy McAllister has to rank near the top. McAllister is a blues/roots musician with some country influences thrown in for good measure. His sound may not be the smoothest you have ever heard but he more than makes up for it with energy, his superb harp playing, and three decades of honing his craft. “My Stride,” “Leave A Few Wrong Notes,” and “East Texas Scrapper” all feature his harmonica virtuosity and leave one wishing many of the other songs would feature it more. He has always been a competent song-writer, who is able to tell stories through his music. “Band With The Beautiful Buss,” “The Oppressor,” and “C’mon Brothers And Sisters” take the listener for a ride through the mind and soul of a Texas musician. “Ride To Get Right” is his ode to Otis Redding and Earl King. McAllister’s 14th album covers a lot of ground but with energy and passion. 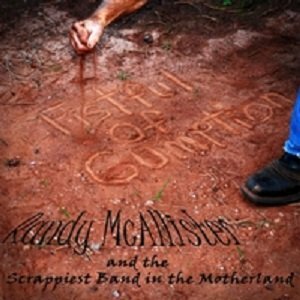 Fistful Of Gumption is music for the mind and soul. Every once in a while an album sneaks up on you. 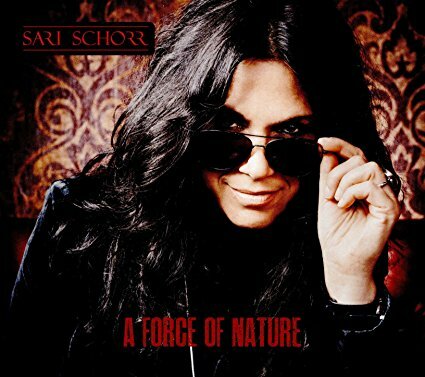 A Force Of Nature is the debut release by Sari Schorr and why she waited so long is a mystery. Schorr is a recent inductee into the New York Blues Hall Of Fame has opened for the likes of Joe Louis Walker and Poppa Chubby. She possesses an excellent song-writing ability but it is the power of his voice that puts he above and beyond the norm. Sari Schorr has been around for a while. Hopefully A Force of nature will bring her some overdue attention and commercial success. I don’t think Neil Young has ever issued a bad album in his half-century or so in the recording studio. His latest release, Peace Trail, may not rank among his best work but it is certainly above average. The music is primarily acoustic and sparse as he only uses drummer Jim Keltner and bassist Paul Bushnell. The album clocks in at 38 minutes divided between 10 tracks. The heart of the release is his socio/political material which has become more common as he has aged. More interesting are the times and songs when he looks inward and takes a more philosophical approach to his writing. There is an emotional connection to this type of material that seem genuine as he and much of his long-time fan base are facing their own mortality. 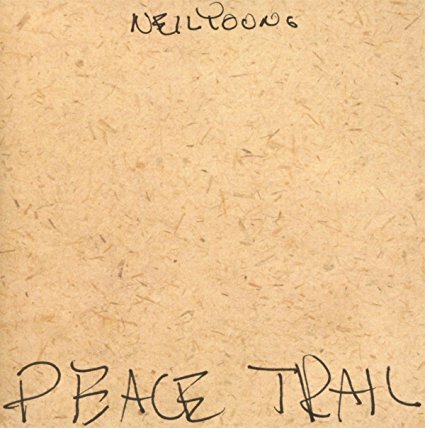 Peace Trail may not be his most memorable release but it does have a power to it. It will make you think and reflect and that is enough this time around. The brass ring was within reach of Al Atkins but it passed him by. During 1969, he formed Judas Priest with himself as lead vocalist. That band quickly imploded but he re-formed the band in October of 1970 with all new members. He left in May of 1973, just before the release of their first album, and the rest, as they say, is history. For the last 40 years or so, he has maintained the faith. His career has existed on the periphery of success as he has fronted bands such as Holy Rage and the Atkins/May Project, plus released a number of solo albums. His latest release, Reloaded, is his re-imagining and re-recording of ten songs from various parts of his career. It includes “Winter” and “Never Satisfied,” which he co-wrote and appeared on Judas Priest’s debut album. At this point in his career, Atkins is who he is. He produces a straight forward brand of metal and hard rock. He surrounds himself with veteran musicians including Ian Hill (Judas Priest), Chris Johnson (Holy Rage), Rob Allen (UK), and current band mate Paul May. Tracks such as “Cradle To The Grave,” “Love At War,” “A Void To Avoid,” and “Coming Think And fast” are pounding pieces of rock and roll with Atkins voice leading the way. Reloaded is an introduction to Al Atkins. It may not change the face of hard rock but it helps gives a veteran of it his due.